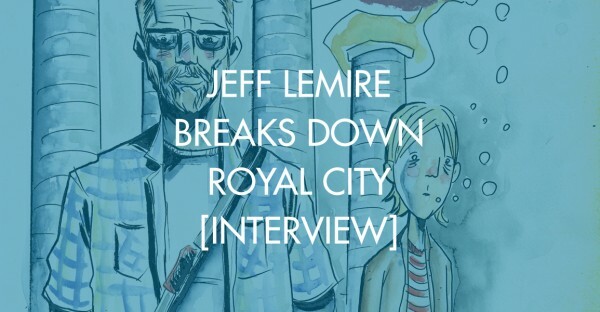 NEW ONGOING SERIES written and illustrated by JEFF LEMIRE (DESCENDER, A.D., Sweet Tooth). ROYAL CITY charts the lives, loves, and losses of a troubled family and a vanishing town across three decades. Patrick Pike, a fading literary star who reluctantly returns to the once-thriving factory town where he grew up, is quickly drawn back into the dramas of his two adult siblings, his overbearing mother, and his brow-beaten father, all of whom are still haunted by different versions of his youngest brother, Tommy, who drowned decades ago. 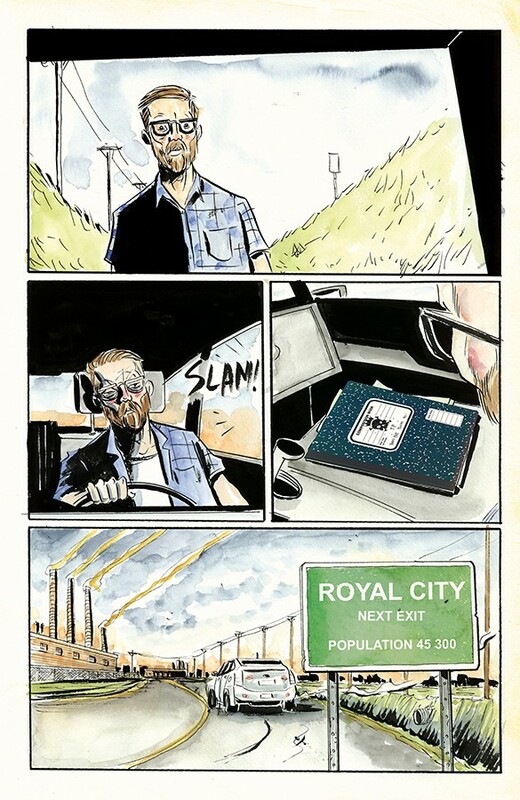 ROYAL CITY is a return to the literary and thematic territory of LEMIRE’s breakthrough graphic novel Essex County and is his most ambitious, and most personal, project to date.